Most Android phones require Root access and/or an app in order to be able to take a screenshot of your phone’s display. Well, that’s not the case on the Samsung Galaxy S or S2! Both versions of the Samsung Galaxy smartphones have the ability to take screenshots easily without any third-party software or root access. Follow the easy steps below to take a screenshot on your Samsung Galaxy S or Galaxy S2 (S II I9100). 1. Samsung Galaxy S: Press and Hold down the BACK button and then press the POWER button. If that doesn’t work, you can also try: Press and Hold the BACK button and then double-pressing the HOME button. 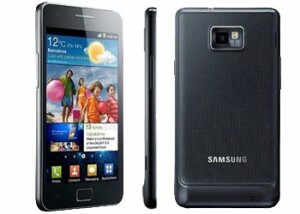 Samsung Galaxy S2: Press and Hold down the HOME button and then press the POWER button. 2. That’s it! Seriously, it’s that easy! 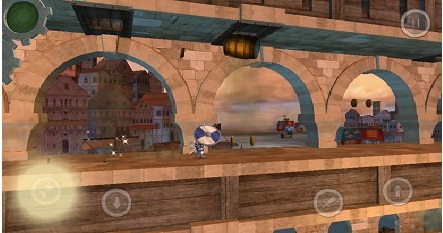 You’ll see a message appear on the screen that says “Screenshot captured. Saved as image file”. You can then go to your Gallery app to see the screenshots that you have captured in the ScreenCap folder. You can also find them by navigating to the /sdcard/ScreenCapture folder. 1. Press Volume Down button & the Power Button at the SAME time to take a screenshot on Android 4.0 ICS. The screenshot will be added to the /sdcard/Pictures/Screenshots folder. Now go try it out and start capturing some cool images of your Android screens! Leave us a comment if you have any questions. thanks for the info, very useful but… is there ANY way to make this work for apps that process the “back” key like… instantly? Thank you so much! Not being able to take screenshots was the one thing that I disliked about my phone. So easy. I’m going to call my parents and teach them too! My question is what would cause my Galaxy Exhilarate to take screenshots each time I press the lock/power button? It did this several times then stopped. I wasn’t trying to do this it just did it on its own. It didn’t work to me until I read the update part. Pressing Volume Down button & the Power Button at the SAME time worked just fine. you press and hold the centre button (home) then press the back button once then press and hold the power button ….. took me a while to do it but it does work! Then press volume button down. You should hear and see results! I’ve get it to work on my Samsung Galaxy S with the 2nd method: just hold the back button and then double-click the HOME button. Btw didn’t know this trick. Thank you! OMG….thank you for telling us how to use the screen shot!!! A friend of mine who is team iPhone laughed and said droid phones couldnt do it….HA!!!! Thank you for the info..when i’m playing a video and make pause for the frame and take a screen capture it appears black with no image but when i do the same with iphone 3G it takes the picture. Is there anyway to do this on the Samsung infuse 4G? No simple built-in way like this that I know of for the Samsung Infuse 4G. You would need to install a third-party app to do it. 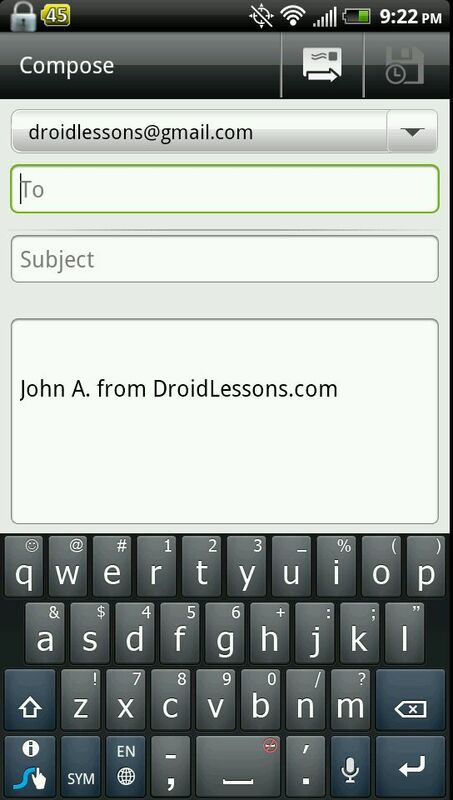 You can try “Screen Shot It” or “Screen Capture Shortcut Free” in the Android Market. That worked for me as well, Home+Power at the same time. It’ll get some use to. Thank you soo much! The back button and double clicking the home button worked on my galaxy s. I somehow accidentally did a while back and have been trying to figure out how every since! Thanks again! On the Sprint version you have to hold the home button and quickly click the power button twice….and I mean quickly bc the task manager will pop up in the way of the screen you’re trying to capture a photo of. I have a galaxy S2 and it only worked for me by quickly pressboth the home button and the power button at the same time. yeah.. press and hold the Home and Power button at the same time. Could you please tell me how I could take a screen shot of a video clip? Pause the video where you u want and then press and hold home and then power botton. Ok yea it worked for me. However when holding the home button I get the task manager to pop up. How do I do it without that popping up? I have a new S2….when I try to do this, the screen shot takes, but a box titled “recent’ pops up, and the screen shot takes a picture of THAT, which blocks the picture I’m trying to take. Is there any way to get that box from popping up when I hold down the “home” key? If your running ics android 4 the its changed! Hold Volume down + power button and hey presto screen shot!! Is there any way to make this work when I’m playing a video? When I pause a video and take a screen shot the picture ends up black. I am also trying to.do the same thing. When i want to take a.SCREENSHOT of a video already on my Galaxy S2 The screen always ends up Black. How do i take a screenshot of a video?!?!?!? thank you….everything else wasn’t working..
How to snap screen capture for Samsung S Advance?. I’ve managed to be successful half the time with taking a screen shot with my Samsung s2. When holding down the home button, half the time it brings up the Task manager right in the middle of the screen. I really don’t want a picture of that! This was just what I needed to know thanks!!!! Oh my god! That worked! I was having the same problem but holding it down longer makes it work! THANK YOU SO MUCH!!!! Thanks!! it worked for too on S2!!! need to press volume down and home together for a second. 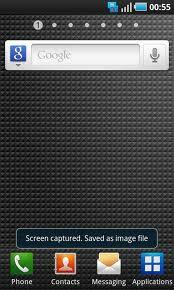 Updated the info above with the new instructions for taking screenshots on the Samsung Galaxy SII running Android 4 (ICS). Hope that it works well for you now! mine works i have samsung galaxy s2 but whenever i videocall someone and i print screen it the photo of the person i am talking appears but my image which is front camera appears black. i also tried print screening it using my front camera and as a result its also blank. I’ve tried all three methods for my sprint galaxy s with the keyboard and none worked, any advice? Thanks for this info. My daughter had accidentally taken 5 screenshots. If you guys want to take a screenshot after the new android 4 update hold down the down volume button and the hold button at the same time (to put it screenshot mode), dont let go, then click the home button (to snap the shot.) With a little practice it should work! Ive tried but when i double click the home key it gose to the voice command? Which device do you have and what method are you trying? Does anyone know why despite being able to take wonderful screenshots it remains impossible to take a screenshot of a recorded video? The first method used to work for me (the power button& home button) on my Galaxy S2. Now that doesn’t work anymore. I tried to hold the volume down button and the power button, that does not work either. When holding down the volume down, the power button and the home button, this also does not work. I cannot make screenshots anymore, anyone who knows how to make a screenshot?! Did you recently upgrade to Ice Cream Sandwich? Try pressing the Volume down & power button at the same time. It worked for me! Awesome!! Just upgraded my S2 to ICS and that “Volume Down + Power bottun” combo works like magic. No third party apps for me. Is there a way to take a screen shot in the midst of playing a video or of a paused video? When I try the pic is all black…..
Not that I know of! But maybe someone else here knows of a way and can chime in. This method works for the Samsung Galaxy S Advance with Android 2.3.6: Hold down the Home button and press the Power button. It is enough to hold the Home button for half a second or so, just long enough not to bring the Recent Apps screen up. I’m using galaxy s advance. and this Home+Power button method works well! 😀 Thank you! Thank you sooooo much. I’ve always acidentally taken screenshots on my HTC Vivid and never knew how i did it. Even though this post wasn’t for my phone i knew it might work since my phone is 4G and up to date. This just made my day, thanks ! The volume down button + power button on my Samsung galaxy a II works like a charm! Thanx. No -I never got a reply or any suggestions about how to take a screen shot of a video. I even tried pausing the video thinking that the video playing was the problem. It would appear as though the functionality to capture screenshots of a playing or paused video was not something that was taken into account during the development of the phone/software. While not a big deal – the truth is I expect my samsung video recorder to do everything I would otherwise be able to do with a camcorder. perhaps not as well as a “dedicated” camcorder – but the basics – and to me this should be a ‘basic’ function. Thanks so much, since my icecream sandwhich update the home and power button wasn’t working anymore, but the volume down and power button works!!! Thanks again! I just recently upgraded my phone (within the last 2 days) and neither method works for me to take a screen capture. Did the update disable this function for anyone else? How do you screen shot joe? I can’t figure it out. I keep getting the task manager! You have to be quick. Have to hold the power button before task manager pops up. I am not happy with the update at all! I can’t figure it out..
so yes i used to be able to do this by holding the power button and home button but now it isnt working 🙁 i really hope u can answer my question thank u! Does anyone know how to set the screencapture so it saves my photos to my microSD card and not into my phone? I know now how to take a screenshot, but how can you email it to yourself in the bigger format. When I email it to myself the file becomes very small, 96 x 160, and I want the screenshot in the original size which is 480 x 800 pixels. Can anyone help with that? I have found the answer to my question above. I tried sending the screenshot to my gmail account, and it sent it the correct size. When I send to hotmail it automatically reduces the size! So, gmail is one way that works! Thanks for your tips.. it is so easy.. press and hold home button then press power button.. it capture screen on my galaxy s advance.. I upgraded my Galaxy S2 to ICS, and the home+power keys still work. The volume down + power keys don’t work for me. Yes I can get it working! The method that worked for me : Press HOME + POWER button simultaneously and hold for about 1 second. A snapshot will be created. The thumbnail will be ‘posted’ in the notification for us to view. Okay this worked. I had to hold both down for about 2 secs. Ok. CLEARLY all of you are playing me for a fool. I have ICS on my S2. I’ve tried ALL the methods in different orders and varying speeds but NONE of them work. I’m just going to save up and buy an S3 for christmas. So I can just swipe my hand over the screem to take a screenshot instead of holding down the HOME button while double pressing the power button and waiting 5 secs to press the volume button while hopping on leg and singing Mary Had A Little Lamb at the top of my lungs. The end. I had the same problem but what he said was finally the only thing that worked! Thanks a lot. It worked for me. Volume down + Power button. Great !!! It might be helpful to instead of saying “press,” say “press/hold.” I sat there for a good minute tapping the volume down button and the power button with no results, but as soon as I held them both down it took it. AWESOME!! I was needlessly envious of the “I-clan” for being able to this!! LOVE MY ANDROID!! Thanks so much for the tip! Worked for me! GREAT!!! Thanks for the tip! Confirmed. Galalaxy S2. Hold Power and Home key about 1 sec. I have the samsung galaxy s2 and when I got it I had a shortcut on the main menu by the home key that I could press and take a screen shot. I updated my tablet today and it took the shortcut for the screen shot away. Can anyone please tell me how to get it back, please. The power/volume-down button combo worked until I upgraded the Samsung software. Now it does not work anymore. Anybody else having this same issue? Of youre getting TM your NOT doing it exact same sec!!! I have Samsung Gal 2. Keep trying for exact same sec. If you get TM you know you didnt get exact same time!!!! Leave a Reply to mary mcdaniel Click here to cancel reply.